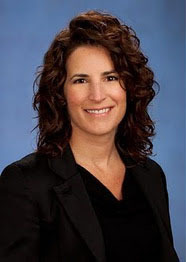 The Ackerman Institute is excited to have Susan Ciccarone, Managing Director at Goldman Sachs, as its newest board member. “About a year ago I decided I wanted to get involved outside of my professional career in volunteer work and other purposes,” Susan notes of her decision to join the Ackerman Institute Board. Susan was drawn to Ackerman’s three pronged commitment to clinical services, research, and training. Originally from Philadephia, Susan has been living in New York for 15 years. She started in a number of different organizations, working at UBS Investment Bank for 8 years, and now working at Goldman Sachs. She went to Villanova University for her undergraduate degree where she studied accounting, and received her MBA from The Wharton School in 2002. Susan loves the fast paced and challenging nature of her work, which gives her a chance to work with a diverse group of clients and projects. This is the first time Susan has been part of a board. “I work with boards frequently, I know what their responsibilities are and I advise management teams on board interactions. But I’ve never been on a board, so this is new and I think it makes it exciting. I want to see how I can be helpful and how I can help the Ackerman Board evolve,” Susan mentions. Undoubtedly, her experience working with CEOs, setting up objectives and executing business plans to involve donors and investors, will be a huge asset to the Ackerman Institute. Susan’s values about family are reflected in her following comments, “I always remember where I came from, and how fortunate I am to be able to give back in some way, to utilize my talents in some way, it’s something I want to be more focused on. Ackerman is the first step in this part of my life and that development.” We are very grateful to have Susan as part of the Ackerman family.